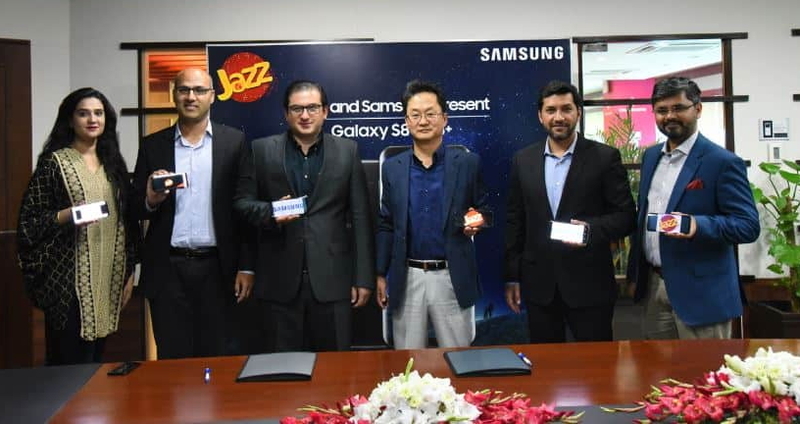 Jazz has joined hands with Samsung to bring the much awaited Galaxy S8 and S8+ to Pakistan. Through this partnership, customers can get the latest Samsung S8 and S8+ smartphones from Jazz retail outlets for PKR 87,000/- and PKR 97,000/- respectively. In addition to this, Jazz & Warid customers will also get to enjoy free internet for 30 days with the purchase of Samsung Galaxy S8 and S8+ – thereby giving the best 3G and LTE experience on the world’s most innovative smartphones to date. The launch is in line with Jazz’s commitment of introducing innovative products and services to improve the overall experience for people.